7 Ways To Lighten Dark Elbows & Knees In Time For The Shaadi! Dark elbows and knees is a problem that’s all too real. As a bride-to-be, we know you’re rightfully eager to make sure your elbows and knees that are not significantly darker than your normal complexion! Well, we’re here to help you with just that. Here are a few ways you can get deal with patches and even out your skin tone. 1. Moisturize, Moisturize And Moisturize Again! This is something we can’t stress enough. The skin at your elbows and knees has no oil glands, which makes it dry. That, in turn, leads to darker skin because of the dryness and roughness. 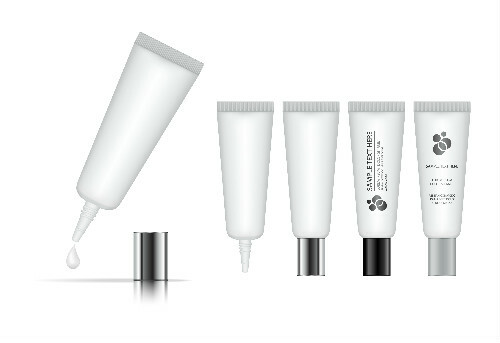 Counter that by moisturizing without fail - every morning and night! The best time to moisturize is right after a bath, so that the moisture remains locked in, and once again before you go to sleep. Lemon is a natural bleaching agent, which makes it an excellent skin lightening tool. The Vitamin C in lemons also helps remove dead skin cells. One tried and tested way to lighten dark joints is to rub a wedge of lemon on them. You can do this three times a week and you’ll notice a difference soon enough! If you have dry skin, make sure to use some petroleum jelly on it before applying lemon, or it might sting. Also read: How To Keep Your Hands Soft & Smooth For The Wedding! 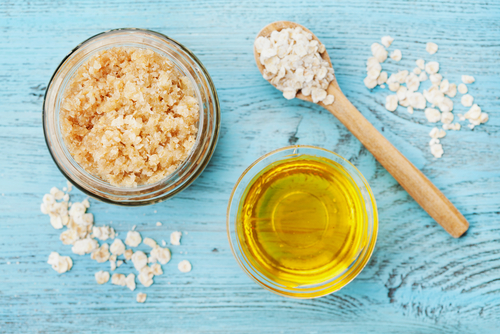 Step 1: Take 2 tablespoons sugar, 2 tablespoons lemon juice and 1 tablespoon of olive oil. Step 2: Mix all the ingredients together and massage it on your knees and elbows in a circular motion for 10 minutes. Step 3: Wash it off and pat dry. Repeat two to three times a week. 5. Say Hello To Aloe! Aloe vera is a natural skin lightening agent that can be very useful in your quest to lighten your elbows and knees. 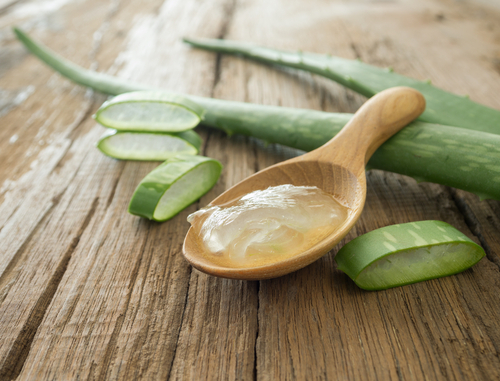 Simply break off a bit of the fleshy part of an aloe vera plant and apply the gel directly on the dark portions. Allow it to sit for 10 minutes and then wash it off. And if you can’t find natural aloe gel, you can always buy packaged aloe vera gel. It is not called the miracle oil for nothing. Massaging with coconut oil can lighten your knees and elbows! Coconut oil is rich in nourishing Vitamin C and will also moisturize your skin to leave it softer. Every night before you sleep, massage some pure coconut oil on your knees and elbows and wash off in the morning. Trust us, you’ll thank us! Also read: How To Get Your Feet Pretty For Your Wedding! If you want a quick-fix before the wedding, consider using an over-the-counter cream or ointment. These elbow and knee creams are formulated especially to heavily moisturize and brighten up dry and dark skin.